If you are not immediately familiar with the group "FireHouse," I question your priorities as a person. FireHouse is responsible for some of the greatest songs to come out of the 1990's, namely the song "Don't Treat Me Bad." If you do not like this song, I will fight you. My friend "Rick*" still swears to this day that he "discovered" FireHouse. I should mention that he only "discovered" them within our gang of friends and not to the mass population, but that is neither here nor there and is not important right now to the story. Several years ago, FireHouse was on the road with the "Rock Never Stops" summer tour and I was WAY excited to see them. They were set to perform with Quiet Riot, RATT, and one of my uber-favorites - Cinderella at the local arena, so I checked with the gang and see who wanted to go. In an odd twist, the only person I could get to go due to various reasons was Rick's wife "Pam. *" This was cool by me, so we went. FireHouse opened the show and they ROCKED. They did all the hits: "Shake and Tumble," "All She Wrote," "Reach For The Sky," "Love Is A Dangerous Thing," a medley of their power ballads: "Love of a Lifetime," "When I Look Into Your Eyes," "I Live My Life For You," and then brought down the house with "Don't Treat Me Bad." As they were getting ready to leave the stage, they said how they would be in the back of the arena for the next 30 min or so signing autographs and doing a meet and greet. Awesome. Pam and I decided to grab another beer, hit the restroom, and then go meet frickin' FireHouse. As I was standing in line for beer and waiting for Pam, members of FireHouse came out from behind the stage area and began walking right PAST ME me en route to their dressing room. I gave them the "head nod" greeting and said "great show" as they walked by. They all smiled and said "thanks" as they continued by. AWESOME. Pam re-joined me and we ventured back into the crowd to await Quiet Riot's appearance. We decided we'd wait a bit for the line to meet FireHouse to die down before we went over. In the meantime Kevin DuBrow (rest in peace) and Quiet Riot had taken the stage, and began running through their 3 popular songs. It was then we decided to head over to meet FireHouse and get their autograph. 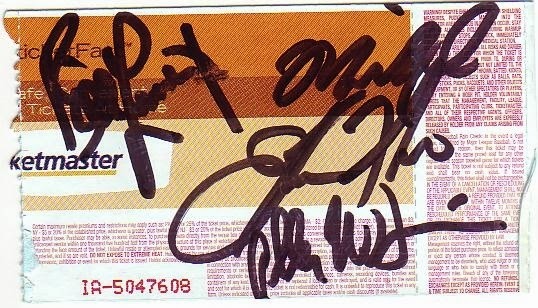 The only thing we had available to sign were our ticket stubs, which they graciously signed. They were super polite and each member shook our hands and thanked us for coming before signing an autograph for us. I've been to a zillion concerts and never had a band do any of this, so this was exciting. Needless to say, even though I loved their stuff before this event - they definitely moved up several notches on my list of favorite bands after this. As luck would have it, a few years later FireHouse decided to visit my area again and I made sure I would be in attendance. Along for the ride with me this time was my brother-in-law "Brian*," and we had a good time. 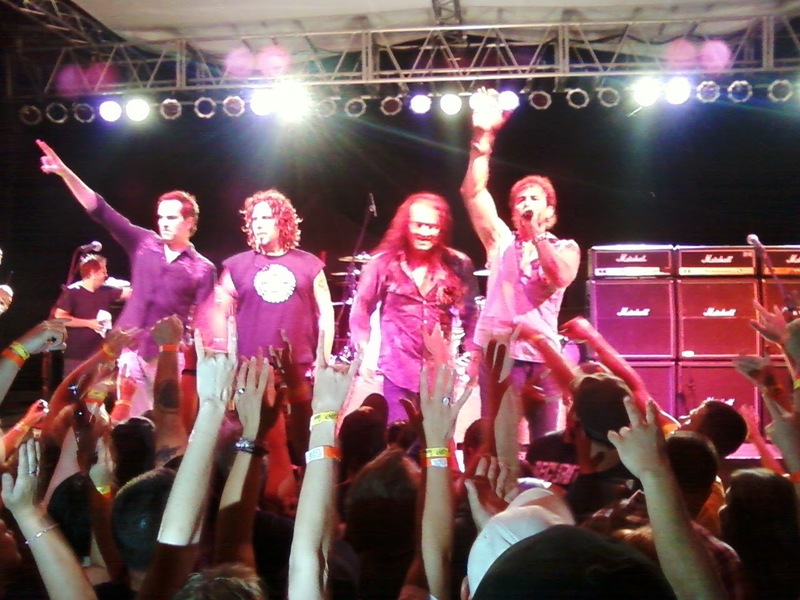 FireHouse was headlining this show, so they broke out all the aforementioned hits PLUS more. Brian and I were not far from the stage, so we had an excellent view of the entire show. It should go without saying that they closed with "Don't Treat Me Bad" and brought down the house. As they did before, at the end of the show they announced that if you wanted to meet the band they would be signing autographs next to the stage. Brian didn't really seem interested in meeting the group and probably thought I was a little girl, but I wanted to meet them again. So I did. 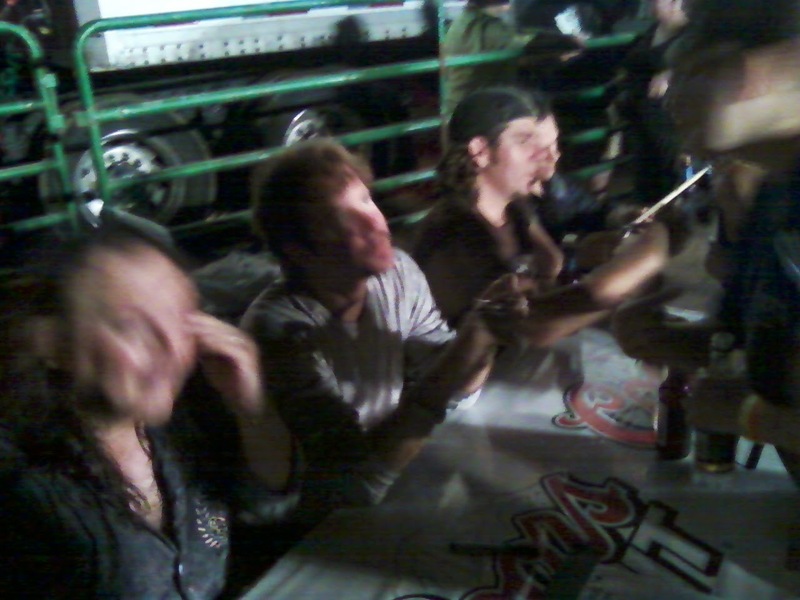 Again, they were super classy guys and made sure to talk to everybody and signed anything that was put in front of them. It was clear these guys enjoy what they do for a living and appreciate everyone for letting them do it. If FireHouse should come to your area, I very much recommend that you go check them out. I might even see you there. Miss a previous episode? Click HERE to catch up! !